Nice village farm for sale in the Vosges. Lorraine, located in the north-east of France, has acquired the nickname 'the green lung' and it certainly won't disappoint nature lovers. Its many hills, rivers, valleys and medieval towns make Lorraine a charming and altogether relaxing place to spend time. The region is largely unspoilt despite the strong presence of industry. Glass and crystal making is still a part of everyday life for the people of Lorraine. Lorraine has developed a reputation throughout France for its regional cuisine. 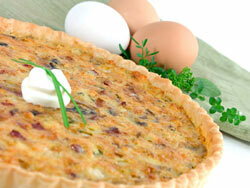 Quiche, still the most popular dish in France, and Moselle wines both originate from the region. The area is a hotspot for people who enjoy their food. A wide variety of fish, all fresh from the local lakes, is popular on regional menus. The beer is not to be missed either - and probably won't be since it is the essential ingredient in a whole variety of dishes. Lorraine is not a popular area amongst foreign buyers. Consequently, property remains relatively inexpensive. The region also benefits from a low cost of living. Good motorway links make travel by car straightforward. The TGV services to eastern France should also be considered. If you prefer to fly, there are currently no airports within the region offering direct flights to/from the UK. The Paris airports could be used, or there is Basel/Mulhouse airport, which currently has easyJet flights operating to/from the UK. Do you know Lorraine better than we do? Do you have photos of Lorraine? Meurthe-et-Moselle, named after the two main rivers that flow through the department, is an ideal relocation destination. It is friendly and boasts a lively capital, Nancy, situated in the middle of beautiful countryside. For many, a visit to the Meuse is a poignant and sobering reminder of the loss suffered during the First World War. The main historical sites of interest are found in and around Verdun, a town that was - and indeed still is - seen to embody the very essence of the French resistance. The gentle Moselle department is a popular location for Luxembourgers looking for bargains over the border. The capital is Metz, a highly cosmopolitan and commercial city set among ancient streets and archaic buildings. Although only a small town in the Vosges Natural Park of north-eastern France, La Bresse is big on sports and outdoor leisure. There is hardly any mountain related sport that you can't do here, and in winter the cross country skiing is among some of the best in Europe. La Bresse is set in an exceptional natural environment, and has so much to offer that locals promise you will never be bored here, whatever the season. Metz is located in the north-east of France, close to the borders with Luxembourg and Germany. It is a great city which retains the diverse cultural influences of its past. Today it is the capital not only of its department, Moselle, but also of the Lorraine region. Lying in an important geographical position, on the Moselle River, Metz has long been important in both military and commercial terms. The city of Nancy, which is found in the north-east of France in the region of Lorraine, is the capital city of its department, the Meurthe-et-Moselle. It is a large and cosmopolitan city, with a bubbling cultural life and a lively student population, thanks to its two universities and many educational institutions. Lorraine is in the north-east of France nestled in between Alsace and Champagne-Ardenne. WHICH DEPARTMENTS ARE IN Lorraine?